The Maxi-Paw’s powerful throw permits maximum spacing and offers superior close-in watering and uniform water distribution. 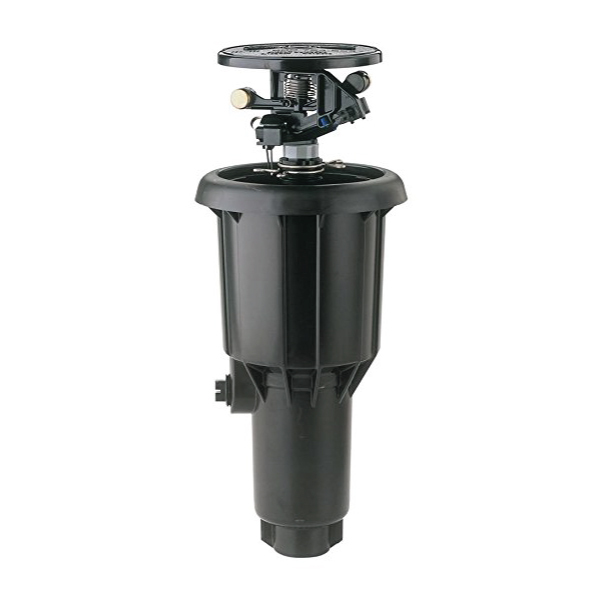 Low pressure loss and an efficient, straight-through flow design conserve energy and are ideal for dirty water applications. The optional Seal-A-Matic™ prevents run-off, puddling, and erosion caused by low head drainage. And most important, it’s rugged and dependable, popping up on schedule again and again because of the multi-function wiper seal. Side and combination 1/2″ (15/21) or 3/4″ (20/27) bottom inlet for design flexibility.